A tender indulgence of country rock charm, Pony Creek’s “Till You’re Mine” captures the deep commitment and passion of two souls who, against the odds, will never stop trying to be together. It’s a tale as old as time: Two divergent souls come together through shared connection, love, and devotion to one another. He’s from one world; she’s from another. Their histories are different, but their paths eventually crossed – and the rest is happily ever after. Pony Creek’s “Till You’re Mine” captures the deep commitment and passion of two souls who, against all odds (and probably a few family members), will never stop trying to be together. 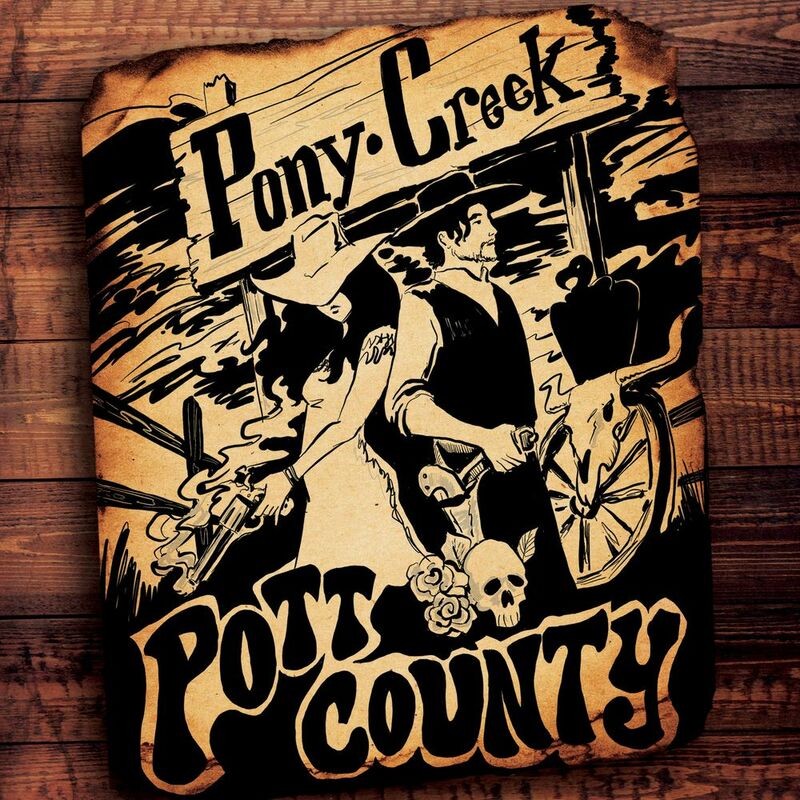 Atwood Magazine is proud to be premiering Pony Creek’s music video for “Till You’re Mine,” off their recently-released sophomore album Pott County (9/21/2018). 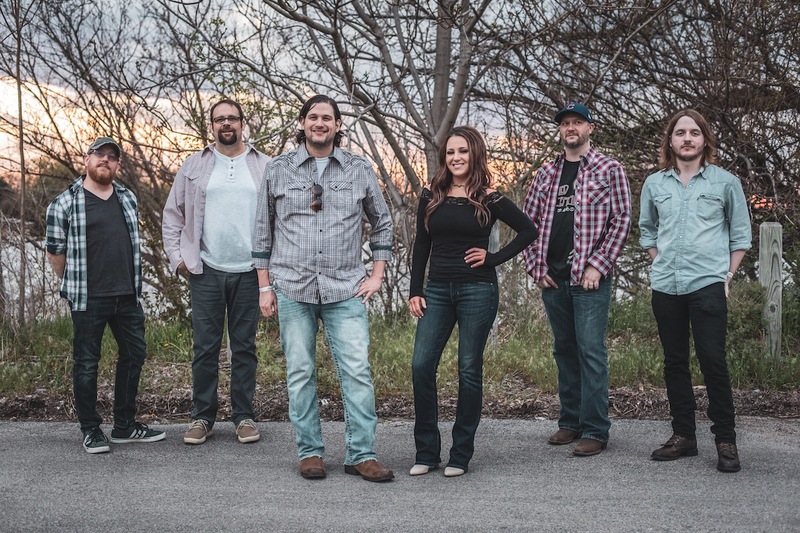 Formed in Spring 2016 as the collaboration between Ryan Osbahr and Billie Frost, the Omaha, Nebraska country rock band have garnered a strong Midwest fan base over the few years they’ve been active, and Pott County further sweetens the pot. With songs of love and family, addiction and sacrifice, and everything in-between, Pony Creek’s new album captures today’s American experience: One of divide and separation, but also commonalties and togetherness. In premiering Pony Creek’s first music video for their album’s lead titular single, Atwood noted: “As the visual for a song about both evading and embracing your roots, “Pott County” grabs ahold of pure rock passion and rides that dynamic, gritty wave from start to finish.” Whereas this energizing, freewheeling ode to the outlaw fantasy invites the audience to indulge in another life, “Till You’re Mine” maintains our base in reality – going so far as to assert there’s no place we’d rather be, than right here right now. The music video depicts Osbahr and Frost as two halves of a whole – the whole, in this case, being as much their relationship as it is Pony Creek the band itself. Osbahr is seen in a barn with his guitar, crooning the first verse alone amongst stacks of hay. “I come from the country, but I’m not an outlaw,” he sings – yet again referencing the fabled “outlaw” from “Pott County” (it’s becoming quite a popular trope for the supposedly “non-outlaw” band…) Frost’s character, meanwhile, hails from the city, and she shares her backstory in the second verse. Throughout these lyrics, Pony Creek reference their upbringing and their families; they note how, despite whatever issues they have with their kin, family is still family and will always be there for you in times of trouble (even if you may not speak at times). The full beauty of “‘Till You’re Mine” shines through its chorus, where Frost and Osbahr declare, assert, and affirm their unwavering devotion for one another. They sing together: “If it’s subject to change then I want to be clear, I wouldn’t waste your time. I will never give up, baby, until you’re mine.” As the video progresses, we watch Pony Creek make a home for themselves in both spaces: That of the country, and that of the city. It’s a recognition of the fact that these two venues aren’t worlds away; rather, they’re two sides of the same coin – and Pony Creek would never have it any other way. Truth be told, “Till You’re Mine” is exactly the kind of music we need in 2018 and 2019. It’s a vehement denial of social, cultural, and economic barriers; a refute of restrictive societal expectations; and a passionate embrace of the things that unite us and bring us closer together. Every new Romeo and Juliet story reinforces the true American dream (and global ideal) that diversity is a strength, that where we come from doesn’t limit us or diminish our potential, and that we should celebrate our differences. “Till You’re Mine” is as much a story of love, as it is one of overcoming obstacles and elevating that which makes us special and unique — in other words, the parts of us that make us who we are today. Pony Creek are the city, and they’re the country: An Americana classic in the making. In addition Ryan Osbahr and Billie Frost, the full band’s lineup currently includes Eric Nelson (guitar), Travis Goddard (guitar, banjo, mandolin), George Cooper (bass), and Tim Blair (drums). Stream “Till You’re Mine” exclusively on Atwood Magazine, and dive deeper into Pony Creek through our premiere of their first music video “Pott County,” and their second full-length album – out now!